Gokhale Education Society, a pioneer in starting schools for tribal in the state, also started the English Medium School at Bordi to avail the facility of learning through English for the poor and tribal students in the rural area.. Acharya Bhise, a great philosopher and educationist who rendered a selfless service for the cause of education in rural area for more than half a century with devotion was instrumental in developing the society’s Bordi centre as an ideal educational centre in Bordi. However the year 1993-94 incidentally happened to be the birth centenary year of Acharya Bhise and Prin. Atmarampant Save, who also worked devotionally at Bordi. The English Medium School therefore was started in commemoration of these two great educationists in the year 1993. Every successive year one division of a higher class was opened by following proper procedure for getting sanction from the state government. Today there are fourteen divisions with students from all strata of the society from Nursery to Std. IV. A small sapling of English Mediun School planted in the year 1993 has now grown fully and started to bear fruits of quality education in English for the students of the area. It is a great challenge to make learn children of Nursery and K.G. particularly from rural area in the language other than the mother tongue. But our teachers accepted the challenge and have been successful in providing quality education in the mould of Indian culture and tradition. Our efforts are to provide free and healthy educational situation in the school so that children will like to come to school happily and joyfully and they would not have any problem in their future learning. We have therefore precisely seen that children should not feel burden and fear in learning process in the school. Play-way method is the most effective method for the Pre-primary and primary students. Nature around is the best teacher of the children in all respects. Kids like to play in open where they can see nature’s beauty in trees, flowers, birds, butterflies etc. Fortunately our school campus is blessed by nature abundantly. We have taken care of all these factors and make the children play in sand and soil also. The more emphasis is given on value education, character building and self learning. Number of extra-curricular and co-curricular activities are therefore planned and conducted in the school throughout the year. 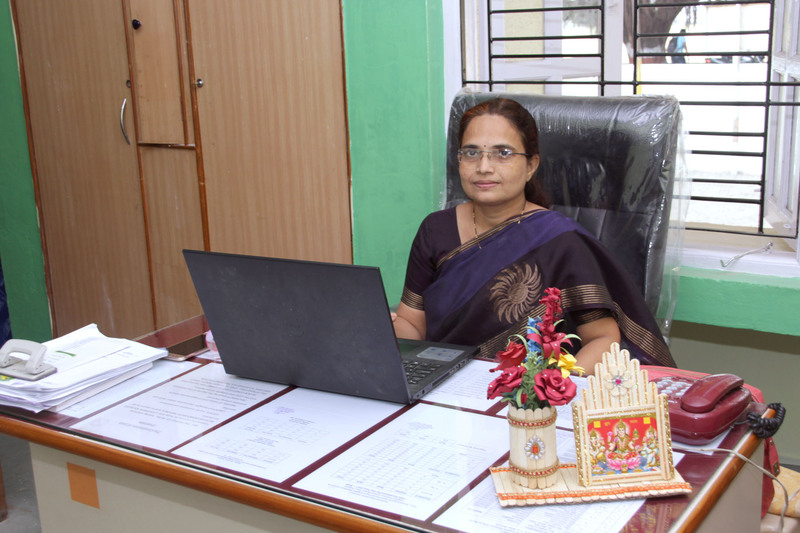 It is a unique feature of our school that Parents Teachers Association (PTA) has shown great trust on us and they solicit all sorts of co-operation in all school activities. Introduction of Computer Education is another feature of our school. Twenty first century is big challenge for young students. To make them withstand all the difficulties and lead a very decent and successful life must be the prime aim of Modern education. Educational institutions are instrumental in shaping the personalities of the students in proper prospective. We are quite optimistic in this respect as far as our school is concerned and see that our students not only become only academically sound but also serve this great country honestly to make it a vital force to be a record. Prin. Atmarampant Save K.G.School established in the year 1993 to commemorate birth centenary of Prin. Atmarampant Save. English Primary School established in the year 1995. Computer education started in the year 1999 from standard II. Nursery class attached to K.G. section in the year 2002. Primary classes V to VII are attached to secondary in the year 2006. New school building was constructed for the Pre-primary section in the year 2008. E-learning introduced in school in the year 2014. School’s website launched on 31st December 2014. Sprawling play ground of the School along the Sea–shore in front of the school building with all facilities of sports & game. More stress on value education since the inception of the school. Well- qualified & devoted teaching staff. To impart quality and joyful education at Primary level according to norms laid down by the Education Department of Maharashtra State and Zilla Parishad. To spread Primary education in tribal area through English medium. To develop the competencies listed in the syllabus. To train all sense organs like the ear, the eye, the nose and the skin. To develop qualities of reasoning and give moral education. To enable the students to explore their skills and channelize their energies accordingly. To develop an integrated personality of the students through good academic results, participation in extra-curricular and co-curricular activities. To make the students and staff face challenges of life fearlessly by adopting flexible attitude. To impart textual and non-textual knowledge to the students through modern technology. To motivate the students for spontaneous and voluntary participation in all activities. To enable the students to sub-limit their instincts through robust games and sports, prayer and meditation (OMKAR). To give scope to students to express their suppressed energy and thoughts. Middle School Scholarship Examination for std. IV. Computer training to std.I to std.IV. Competitions like Handwriting, Drawing, Singing, Storytelling, Elocution, spelling contest, quiz contest. Fun fair organized by parents and teachers for students. Cultural programme by students and parents. Celebrations of various festivals like Dahi handi, Ganeshotsav, Navratri, Diwali, Christmas, etc. Celebration of important days like Teacher’s Day, Education Day, children’s day, School’s birthday, punyatithies of great personalities etc.